According to in-court reports from Reuters, Amazon's vice president of Kindle content Russell Grandinetti testified that his company told publishers it may have to modify business relationships as a result of adopting the agency model. 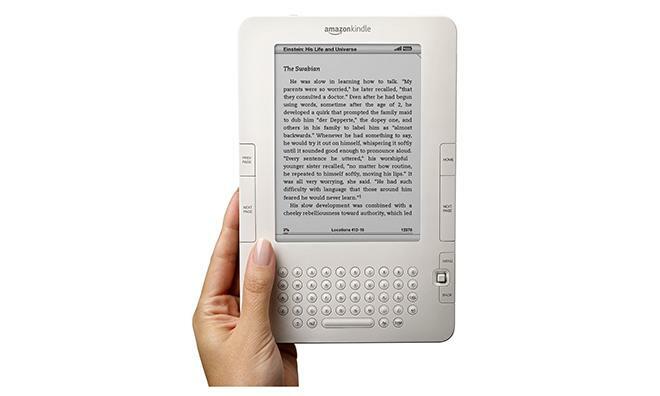 Further, Gardinetti said publishers came to Amazon with an "ultimatum" after reaching deals with Apple in 2010, demanding they be allowed to set e-books prices on Amazon.com. Unless an agreement was made, Amazon would have been barred from selling Kindle-ready e-books on the same day that hardcover versions of the titles were released, he said. "I think I expressed how unpalatable the choice presented was," Grandinetti said. On Tuesday, Penguin Books CEO David Shanks described a similar discussion he had with Amazon over a proposed pricing strategy shift. "They yelled and screamed and threatened," Shanks said. "It was a very unpleasant meeting." Shanks also noted that Amazon would routinely price new titles at $9.99 through its Kindle store, when the same book would sell for $26 as a hardcover. Wholesale pricing was cannibalizing profitable hardcover sales, he said. Amazon resisted the pressure exerted by the publishing houses for a short time before finally submitting to their demands, inking a 3-year deal based on the agency model. "We wanted to avoid losing most or all of their titles from our store," Gartinetti said of MacMillan. The agency model, and its most favored nations clause, is central to the Justice Department's case against Apple, which alleges the company colluded with five major book publishers to fix e-book prices in the iBookstore. As part of its argument, the DOJ has framed Amazon as one of the parties hurt by Apple's purported scheme, asserting that the company's wholesale model was impacted by the alleged conspiracy. Under Amazon's wholesale pricing, retailers buy content from publishers in bulk and are able to set resale prices at or below cost. In some cases, this strategy resulted in highly discounted e-book pricing for new books which would otherwise sell for much more. Amazon used the savings to move Kindles, which according to court documents controlled as much as 90 percent of the market by 2009. Other publishers began to move to the agency model in what Grandinetti believes were decisions made, at least in part, to "slowdown the success of the Kindle." Amazon apparently made attempts to stop the exodus from wholesale, at times threatening to end relationships with certain publishers. In another testimony on Wednesday, Simon & Schuster CEO Carolyn Reidy said that Grandinetti himself issued a threat against her company after it moved to Apple's agency model, reports CNET. Reidy testified that Grandinetti said, "If you're going to do this, we have to look at the whole business." She recalled that the first two calls regarding the shift in pricing strategy were amiable, it was in the third that Grandinetti "threatened [their] business." Wednesday's proceedings ended with Grandinetti on the stand, meaning he will once again testify on Thursday.